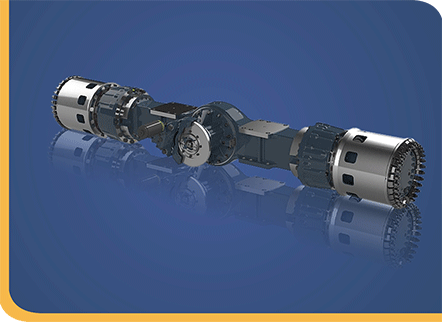 Power Transmission Technology specialise in axle repairs and in the rebuilding of earthmoving axles. We do a wide range of repair work on earthmoving axles and a wide variety of new, used and refurbished axle components. We also supply a complete range of components for Volvo front end loaders from L70 to L220, wet brakes and we do all axle repairs. We import and manufacture components to ensure fast turnaround times with substantial saving on your repair costs. We offer complete solutions for axle rebuilds due to the range of components on axles, final drive, centre portion and brakes or wet brakes. TLB’s, ADT’s, Dozers, Rigid Haulers, Graders and Front-End Loaders. Please note that the above-mentioned brand names are for reference purposes only.